Rate this Article With so many games available on the Oculus Store that can be played and experienced via the Gear VR, some of them can be played immediately without having to bring out your plastic card. The Samsung Gear VR is in its 3rd design update. Starting with the Galaxy Note 4 as the only device that would fully work well with it, the latest version of the headset will work with a lot more Samsung smart phone models as well as other smart phones that can be adapted to it. Here are some of the best games you can get for free (mostly via the Oculus store) and enjoy playing with your Gear VR headset right away. Note: The newest version has a control pad built into the headset itself. InMind VR puts you in the role of a human brain troubleshooter shrunk to nano size who has to go through the synaptic neural networks of a patient and eliminate defective neurons in order to cure unwanted brain abnormalities. The game is reminiscent of the blockbuster hit movie Inner Space starring Dennis Quaid. This time however, you only have access to the brain and not the whole human body. Both graphics and sound are awesome though the game play sort of limits your movement through a predetermined path. InMind is one VR game that is available for both the Oculus and mobile platforms. Wrong Voyage is a VR game that plays like a classic quick action platform puzzle and survival game. 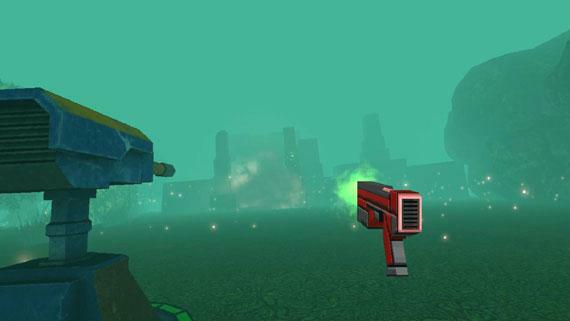 A combination of 3D VR and FPS, the objective is to evade various obstacles or blast through them in order to progress through the game. The game let's you explore an old ruin in an alien like environment reminiscent of the 1991 Sci-Fi classic platform game Out of This World. 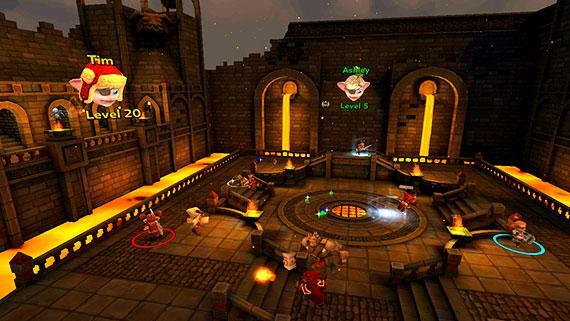 If you ever wanted to play a fantasy role playing multi player online action game using the Gear VR, Herobound Gladiators may as well be it. The game is in third person and has an overhead angled viewpoint that kind of looks like current popular RTS, but you only have control of your hero character. You can run, jump, slash and collect rewards as you go up against the baddies and even other heroes controlled by other players. The graphics and sounds are awesome with a medieval setting and the music is a delight if you love medieval sounding tunes with bagpipes in it. Also, you can upgrade your avatar with gear, weapons and hats. 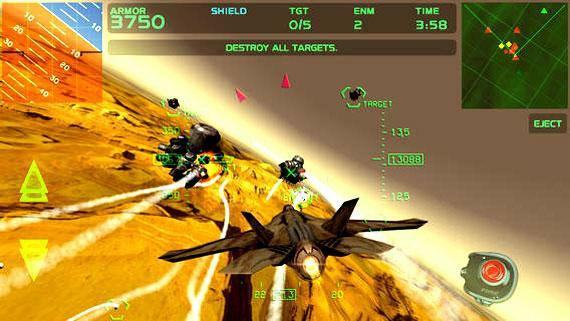 Fractal Combat X is a jet fighter flight simulator that uses a third person point of view. You fly your fighter across various landscapes with terrain that’s based according to your combat missions. You can upgrade your fighter as well as choose the weapons you will need and use for your sorties. The game is story based and progresses according to the success of your encounters. The graphics and sound are Top Gun cool and the music jives well with the game play. The game can be played without a controller but having one is seriously recommended. The game is basically a First Person Target Shooter. 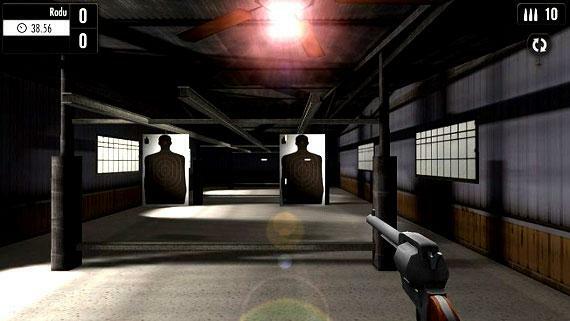 Shooting Showdown 2 follows in the footsteps of its predecessor where you have to go through a series of mini-games. Successfully completing each will earn points and rewards as well as increase your rank through the levels. The game sports fluid gyroscopic controls as you turn your head to aim your weapon, use the touchpad controller or headset button to fire and just look down on the ground to reload. Multi-player is available via a showdown match against other online players using Android as well as Gear VR. 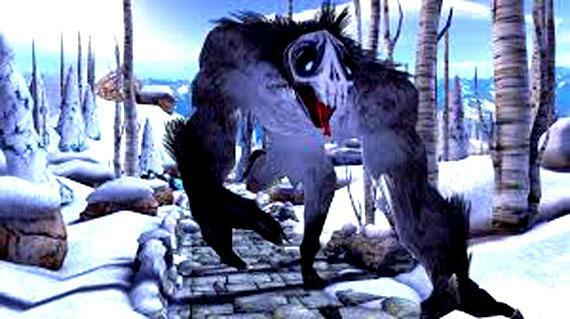 The premise of Temple Run VR is simple yet difficult to survive. All you have to do is pick up the idol in front of you and run like hell before those big angry Gorillas catch you and tear you to shreds. Make no mistake, this is an addictive and immersive VR game based on the non-vr version for the Android platform. With VR comes the added adrenaline rush and motion effects that can really make you dizzy. To make matters worst, obstacles like big boulders will suddenly roll onto your path blocking your route to escape those relentless King Kongs behind you. Great to play with your friends and may the best runner win. In the gaming world, not all games will be for everyone but there will always be games that will be enjoyed by different people. The old adage of some like it hot, some like it cold and some like it in the pot 3 days old, applies to video games as well. OhanaChan is a game about a flower and will appeal to those who love Japan Anime (majority of who would probably be young girls) and flowers. 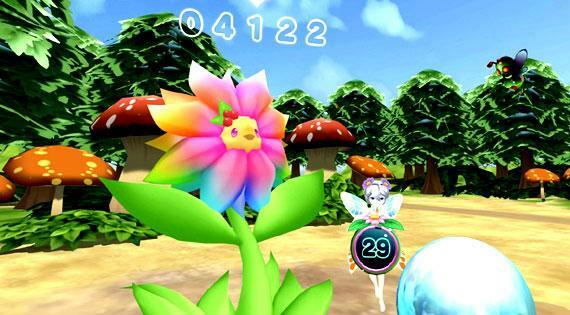 The game is based on the popular Takashi Murakami Ohana Chan Flower artwork style for those who are familiar with it. The objective is to save OhanaChan (Miss Ohana) the swaying flower being attacked by the bees using your bubble gun. You can move around her to hit the bees but staying put in one location while aiming your gun would be a better thing to do. The sound effects, graphics (butterflies, bees, mushrooms, trees, etc…) and happy music give off the right ambience for the game play but will eventually get boring for those who would just simply like to try and experience the game. As for little Miyoko who keeps playing it, well, the game was probably really meant for their crowd.